Housed inside the first floor of Botany Hall, which was constructed in 1901 as the campus's first education facility, Botany Hall Kitchen represents the melding of leading-edge efficient technology and historic splendor that has come to define Phipps. 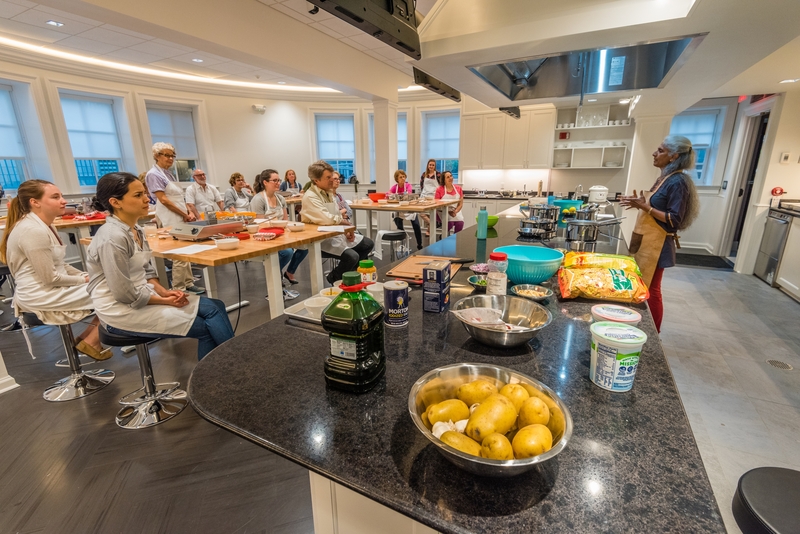 This innovative demonstration kitchen serves as a community service facility where Phipps holds a variety of engaging public cooking demonstration classes for all ages. The state-of-the-art space accommodates 18 students per class and an instructor’s cooking station with cameras and monitors for close-up, multi-angle demonstration views. This dynamic renovation incorporates sophisticated, touchscreen-controlled LED lighting, a new energy-efficient HVAC system, Energy Star appliances and nontoxic building materials that complement the high standards set within Phipps’ greenest LEED® and Living Building Challenge certified structures. As the hub for Phipps’ new Culinary Arts series of courses, as well as youth programming produced by Phipps' science education and Let's Move Pittsburgh teams, Botany Hall Kitchen is designed to help community members of all ages discover new ways to prepare food that is good for people and the planet. With this exciting new addition, Phipps will empower participants with culinary and nutrition skills that will foster healthier lifestyles. To keep up with the latest education offerings in Botany Hall Kitchen, view Phipps' Culinary Arts courses for adults and Seasonal Camps for children.